This system was visited for the first time on EDSM by Pliers. 2420 ships passed through HIP 23759 space, including 5 ships in the last 7 days. 0 ship passed through HIP 23759 space in the last 24 hours. Asteroid base constructed in 3303 by the Xeno Research Group. 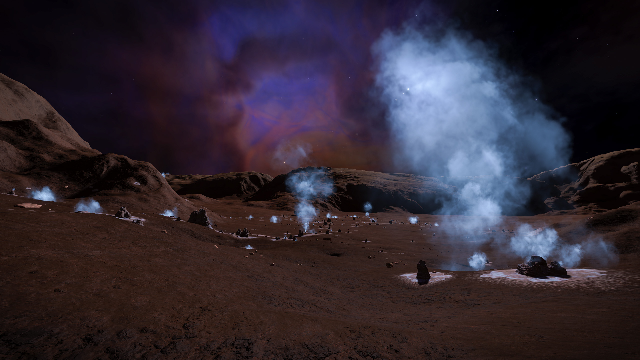 A field of quite active silicate vapour geysers offering a good view of the Witch Head Nebula and Barnard's Loop. Witch Head Nebula is named for it's appearance (from Sol) to the legends of evil women with magic powers. The blue-brown nebula is roughly 25 Ly by 25 Ly by 40 Ly and sits 900 Ly from Sol. Reference system HIP 23759 is located directly above the nebula, providing good views. 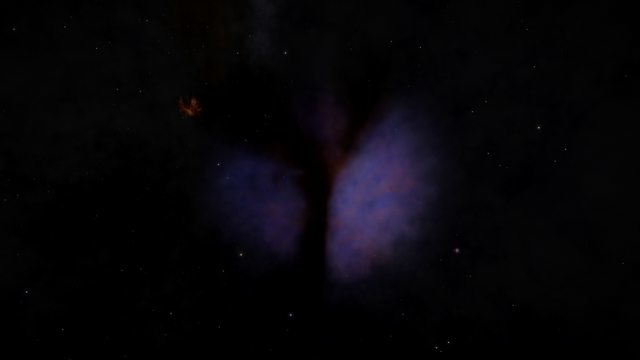 Witch Head Nebula was the site of interest in 3302, when alien 'barnacles' were discovered among systems near the nebula, similar to discoveries in the Pleiades and California Nebula. Astrophotography and description courtesy of ibanix. The last of the three major cluster of alien barnacles to be discovered is centered around the Witch Head Nebula. 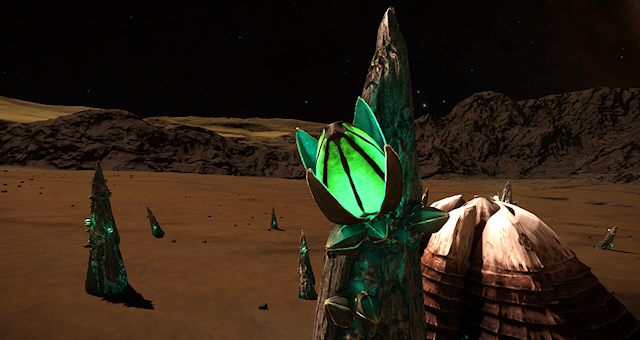 These barnacles were first discovered on 15th June 3302.